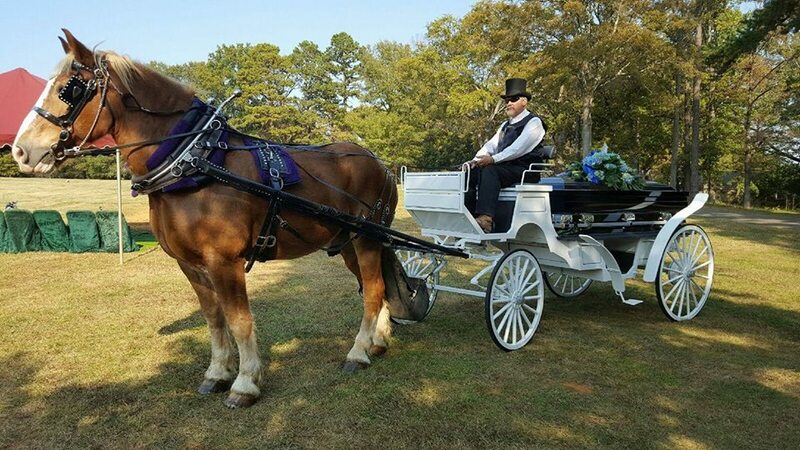 Southern Breezes Carriages respectfully provides the service of a Horse Drawn Caisson or a fully enclosed horse drawn hearse for Funerals. We can also provide Military Caisson services. 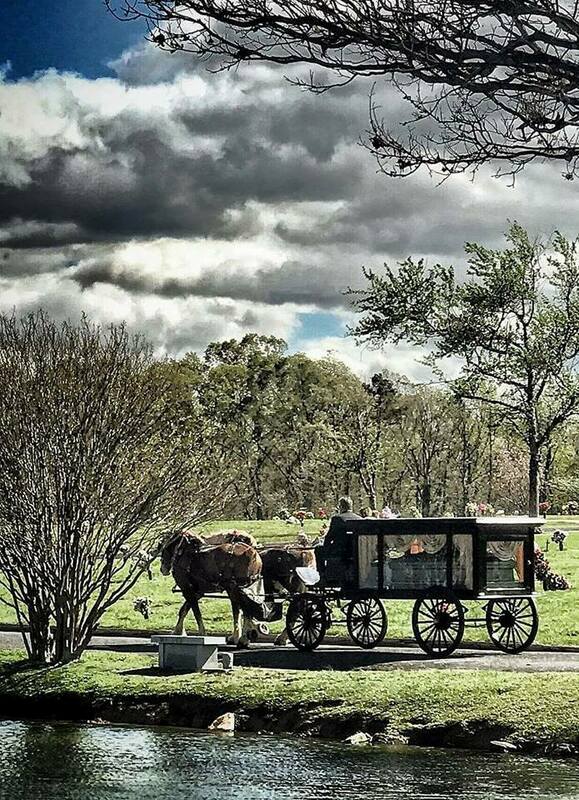 Our experienced horses and coachmen will be a honorable and comforting addition to the funeral procession. We also can provide a family carriage or carriages. 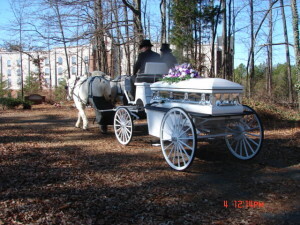 We also offer a carriage for Urns for cremation burials. 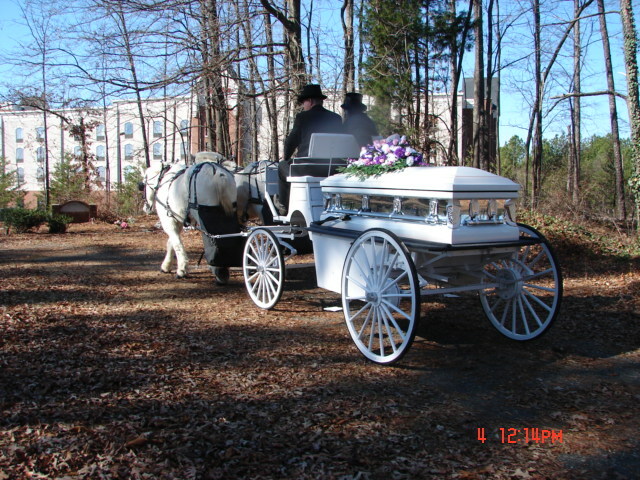 We can travel with our horses and Hearse anywhere in the Carolinas.